The Circle (2000/ Iran) by Jafar Panahi: When this hard-hitting, inventive film premiered at Venice, it won six awards, including the Golden Lion, the highest honour. And then it got banned in its own country, Iran. One of the strongest feminist voices in cinema, the film is a supreme marriage of content and form. Come and See (1985/ Soviet Union) by Elem Klimov: You need to watch this film just for its last few minutes - it is nothing short of iconic. A brutal, horrifying account of the Nazi atrocities in the villages of Byelorussia through the eyes of a teenager, this is definitely not everyone's cup of tea, especially because it tends to haunt you forever. The Hole (aka as The Night Watch or Le trou) (1960/ France) by Jacques Becker. The oldest film on this list but one of the most involving you will see. All this film covers is the elaborate planing and execution, successful or not, of a prison-break. And you will love the detail it goes into, every stroke of hammer, every watchful gaze. Letter from Iwo Jima (2006/ USA-Japan) by Clint Eastwood: This film was one of the two films Clint Eastwood made simultaneously on the American invasion of the island of Iwo Jima. It won Oscar nominations for Best Picture, Directing and Original Screenplay and won it for Sound Editing. It also won the Golden Globe for Best Foreign-language film. The newest film on the list and a must-watch if you love war films. My Neighbor Totoro (1988/ Japan) by Hayao Miyazaki: This animated-feature is on IMDB Top 250, so chances are that a lot of you would know about it. I do not watch too many animation but this one simply blew me away with its originality of intent, imagination and execution. Looking forward to watching more of Miyazaki this year. 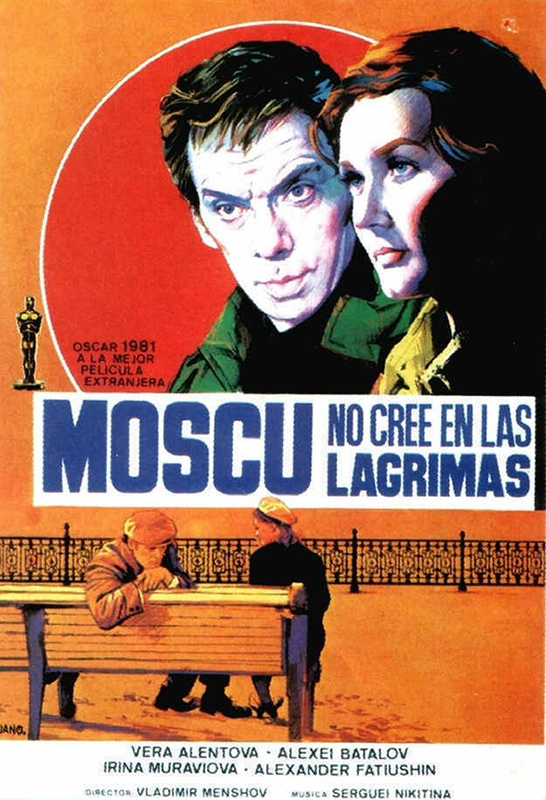 Moscow Does Not Believe in Tears (1979/ Soviet Union) by Vladimir Menshov: This Oscar-winner for Best Foreign-language Film is a moving personal story of love and hope spanning several years in the life of its beautiful protagonist. Go for it if you like relation-based dramas. Not One Less (1999/ China) by Yimou Zhang: Winner of the Golden Lion at Venice Film Festival, this is an endearing film involving kids. With mostly non-actors playing the essential roles, it is sure to appeal to you, with its unassuming brilliance and innocence. Toto the Hero (1991/ Belgium) by Jaco Van Dormael: The first film of my find of the year, Van Dormael, won the Best Debut, Camera d'Or, at Cannes. It was Belgium's Oscar entry, although it couldn't make it to top five. It did, however, earn a BAFTA nomination. Interestingly structured, this fable of a film contains within itself so much of pain and insight into human condition, but presented so playfully that it will be a unique, entertaining experience for you. Unagi (aka The Eel) (1997/ Japan) by Shohei Imamura: This crime-drama from the legendary Japanese film-maker won the highest honour at Cannes, the Palme d'Or. With a story that will keep you guessing from the start until the very end, I found it to be extremely engrossing. Triumph of the narrative! The White Balloon (1995/ Iran) by Jafar Panahi: This film that started the career of Panahi is his second on this list. It also won the Camera d'Or at Cannes and was Iran's official entry to the Oscars. But before the nominations were out, Iran requested the Academy to let them withdraw the film. They also did not allow Panahi to travel out of Iran to introduce the film to the American audience. That was how Panahi's struggle with his government started, and it continues until today - he is not allowed to make films at all. I had recommended this film as a must-watch last year. Simply adorable!